Time for another recipe review! I don’t really count these sorts of posts as presenting any new information to you, because let’s be honest- NONE of these recipes are original. In fact, they’ve already been blogged, reblogged, and redid. So at the risk of sounding like I’m trying to pry blog content right off of someone else’s site, I refer to these as reviews. Just my take on the whole shindig! 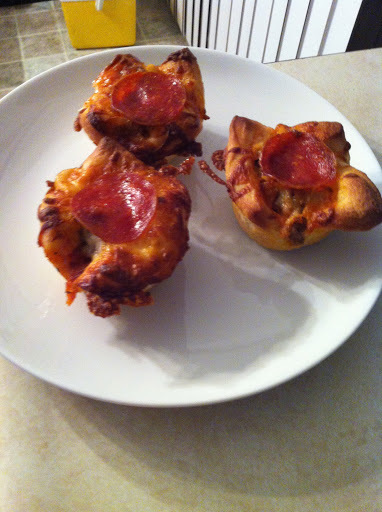 I made these delicious muffin pizza cups for dinner and I just can’t even tell you how delicious they are. You must go out right now, spend like $2 and take like 5 minutes of your time and make them yourself. 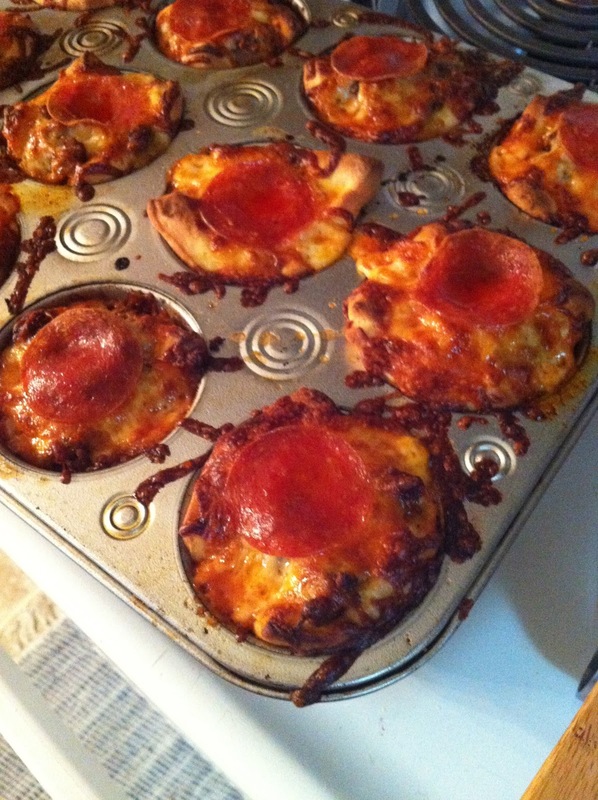 The first time I made them, I just grabbed pizza sauce, cheese, pepperoni, and the crust and it was so good. I added a sausage this time and made my own sauce and of course, it was great again. Turns out, just like regular pizza- the possibilities are endless.. I used the premade pizza crust that comes in a biscuit can- which totally exists. 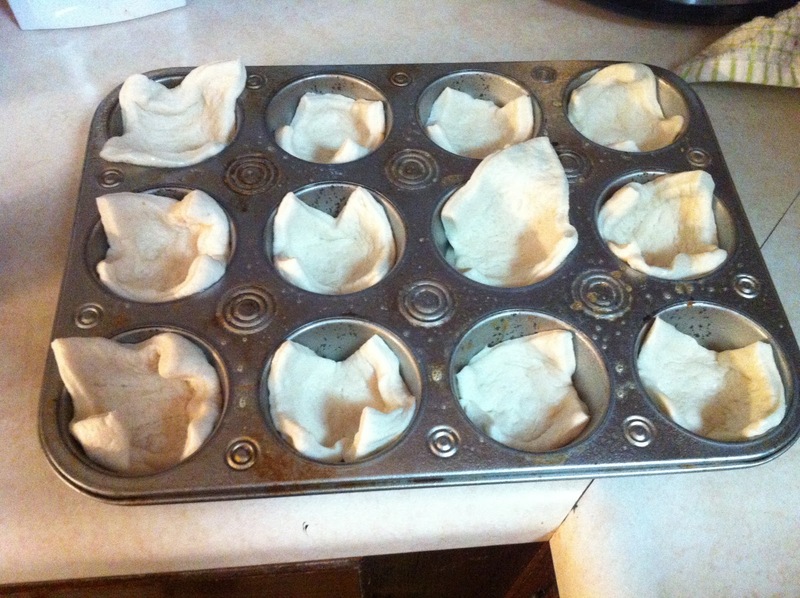 I also increased this recipe from 8 servings to 12 by not reading the recipe all the way through and making enough to fill my entire muffin pan. 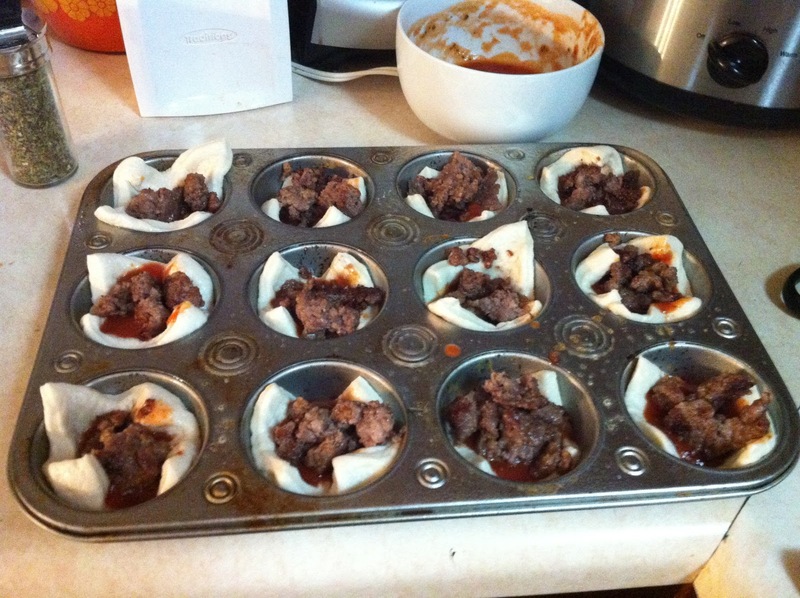 If you make these, don’t worry about your dough not filling up each cup. It will rise as it bakes and everything will work perfectly. And deliciously. 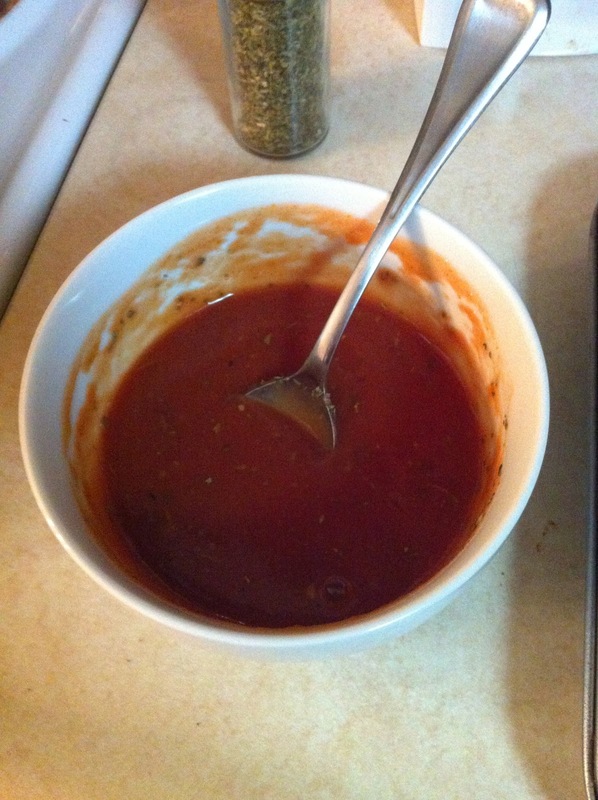 Here’s the story about making my own sauce. Again, I ignored the recipe and didn’t even realize it includes making your own sauce. I thought I was being originally creative here. At any rate, it mostly came from the place of me shopping at Aldi, them not stocking pizza sauce but having tomato sauce available for $.38 and me thinking that sounds a heckuva lot better than spending $3 on a big jar I’ll never use up. 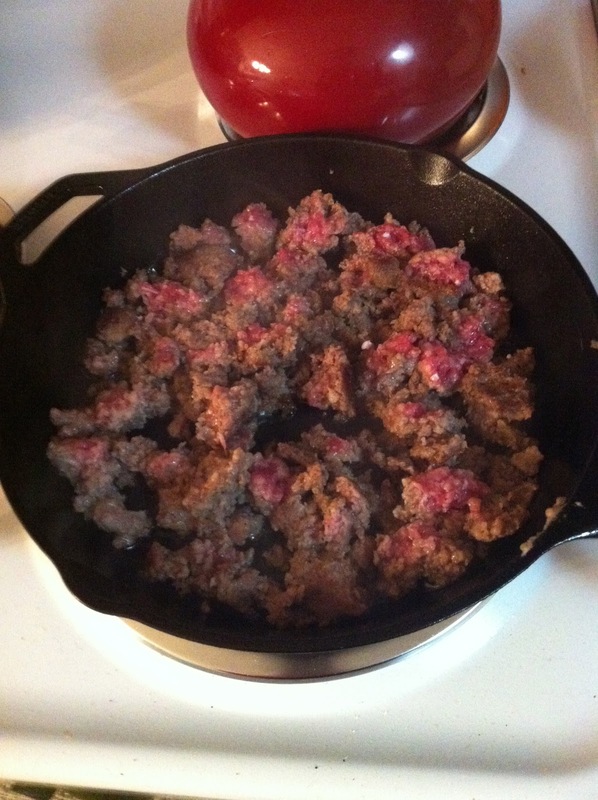 So I just dumped it into a bowl, tossed in some Italian seasoning, some oregano, and salt and pepper. Seemed okay to me! 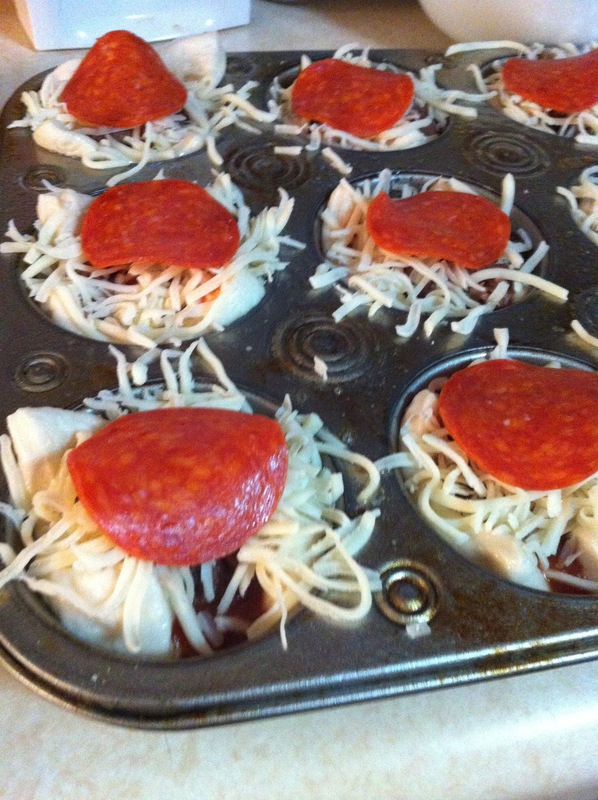 Fill with cheese and put a little pepperoni hat on it! If you are in my kitchen, using my oven, and I am- then bake these at 400 degrees for 17 minutes. THEN EAT THEM LIKE THE PIZZA MONSTER YOU ARE. NOMNOMNOM. So good and you’re welcome.